As we all know the summer season is in full swing and unfortunately, some fantastic adventures end in rescue. Without going any further, two days ago in the refuge of Hrafntinnusker, we saw the Icelandic rescue team’s performance. Three poorly equipped friends in a snow zone and with a seven-degree freezing point were brought to the shelter, and one of them suffered first degree of hypothermia. Eyes showed fear and more knowing that two months ago a Japanese died of cold in the same area. It is important to remember, as Alberto Ayora says in his book Risk Management, that “zero risk does not exist” and less when we are going to carry out a mountain activity without the necessary equipment or preparation. When planning a route without a guide; a precise route plan is essential; necessary material; Watch weather forecasts; Prudence in acting; Bring extra clothes and food. Never go alone; Know how to handle a map and compass. In case of bad weather give up and of course, admit the limits of each one. 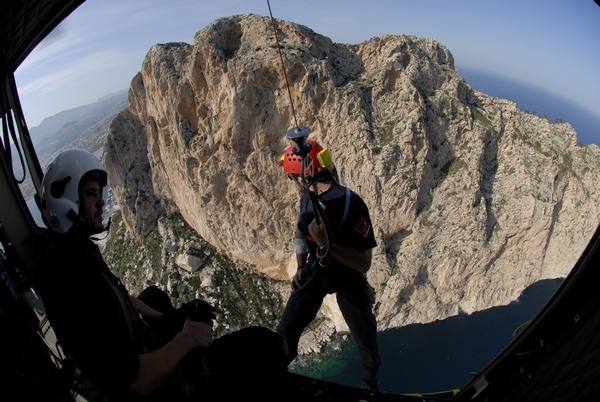 Rescue personnel is often endangered for performing an activity above the capacity of the individual. Let us think a little before taking the adventure if we are prepared for it because the mountain is infinitely beautiful but infinitely stronger than we are. Hopefully this summer there are few rescue cases. Only in the Mont Blant area, there is an average of 760 annual rescues. 25% of the rescues are above 3500 m; 44% practice mountaineering; 55% of all medium and low mountain rescues are injuries, and 8% die before the rescue. Adventurers! Nature is wonderful! Let us not be guilty of certain mistakes that could have been avoided. Let’s enjoy head on magical places! Today and many years to come.